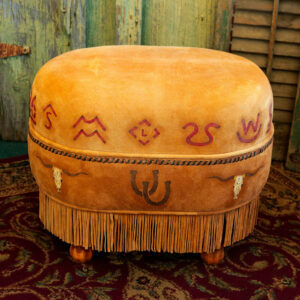 Tom Tom Ottoman in Caramel Deer Skin made in the form of a tom tom drum. 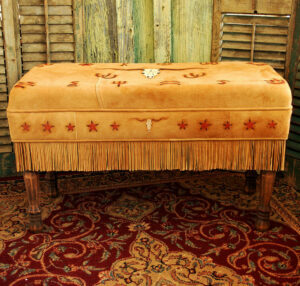 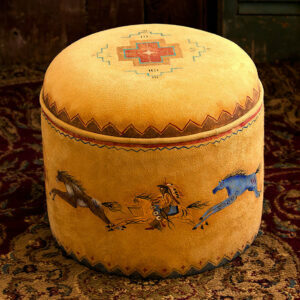 Hand painted with a Cayuse pony and rider centered in the sunburst design on the cushion top. 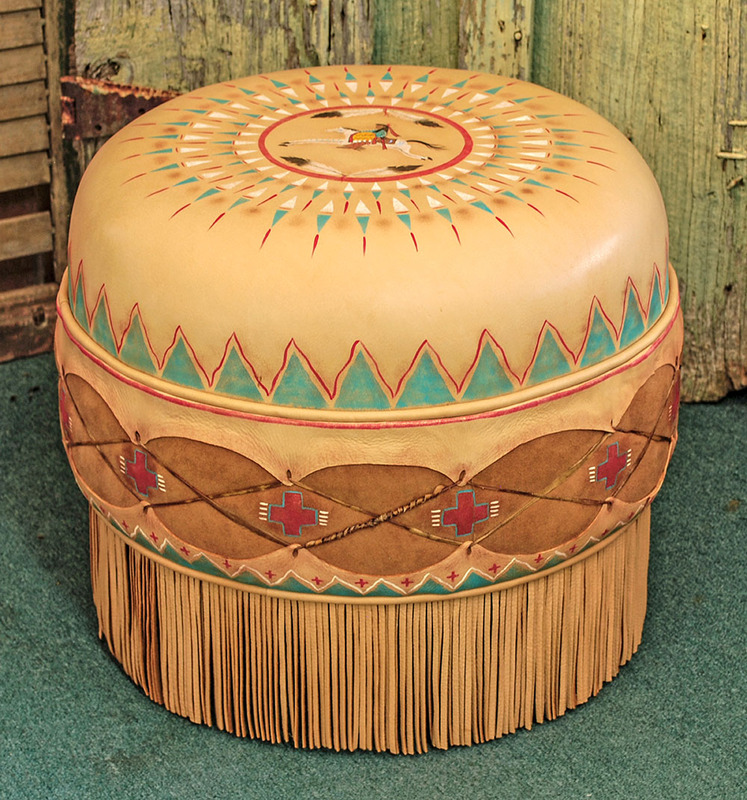 The sides are painted with Native American crosses which depict the 4 quarters of the universe; earth, wind, sky, and water. The raw hide is soaked with water during assembly and as it dries, the rawhide shrinks and pulls the top and bottom leather tight, just like real tom tom’s have been made for centuries. 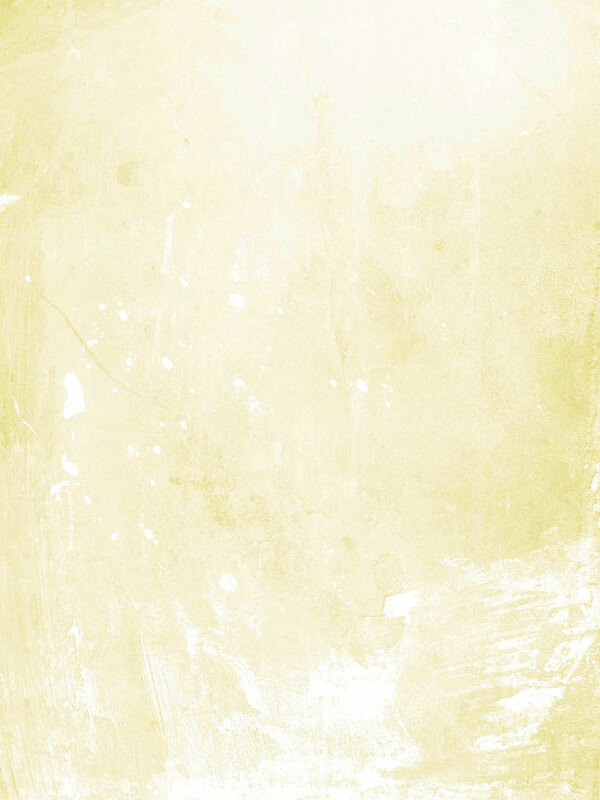 Shown in Caramel. 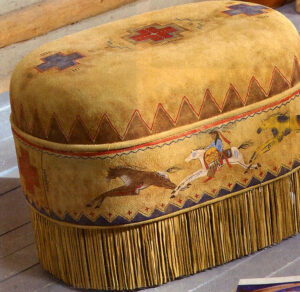 18″H X 20″W.